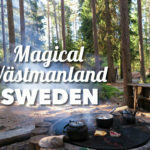 Home » Destinations » Europe » Poland » Where to Go in Europe for Easter? Try Krakow! Krakow for Easter of 2019? Well, why not? Easter is great time to travel. Half of the world has a longer weekend and there are festivities and celebrations. 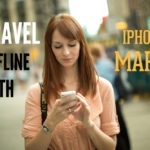 Depending on your location, you’ll surely have many opportunities to not stay at home! For the biggest Easter flare head to countries with strong Christian traditions. 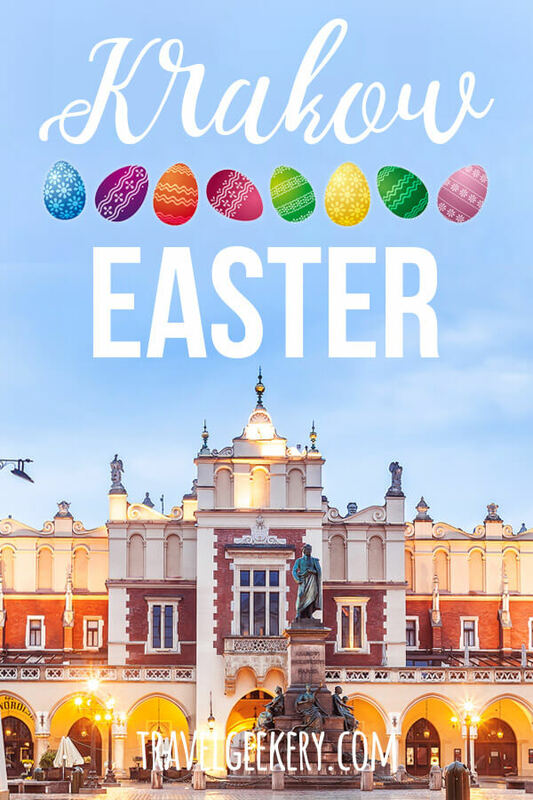 In my opinion, Poland is the best representative in Europe for that, making it one of the best Easter destinations in Europe. That’s why I decided to spend the Easter in Krakow a few years back. Getting to know a city outside its usual ‘behavior’ gives the trip some extra flavouring. Forget most of the cool cafés and restaurants you googled before setting off, as many of them will be closed. Come to Krakow to observe Polish Easter traditions and to enjoy the real first celebrations of spring, to walk around till your legs hurt and simply just to absorb the atmosphere. Below I researched updates for your possible Krakow Easter 2019. Enjoy! 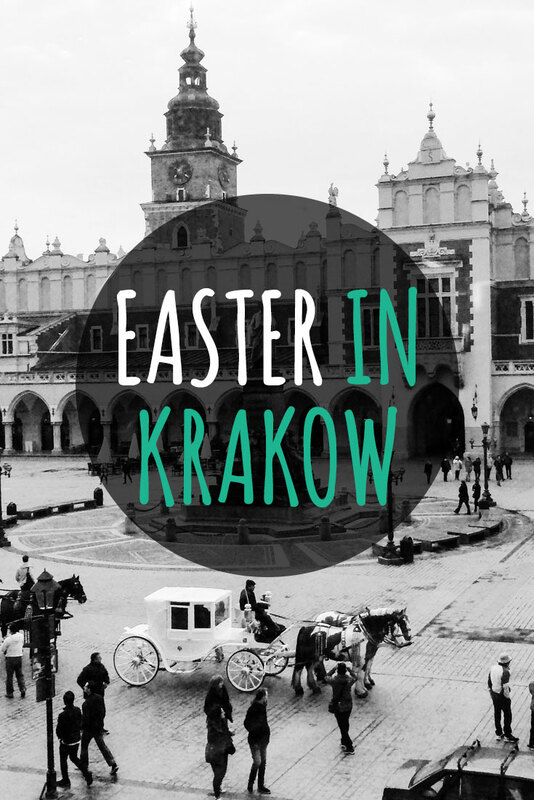 What is Krakow like at Easter? The main square (Rynek Główny) in Krakow at Easter time is full of stalls with goodies as well as with delicious food, be it traditional Easter meals or just yummy street food. 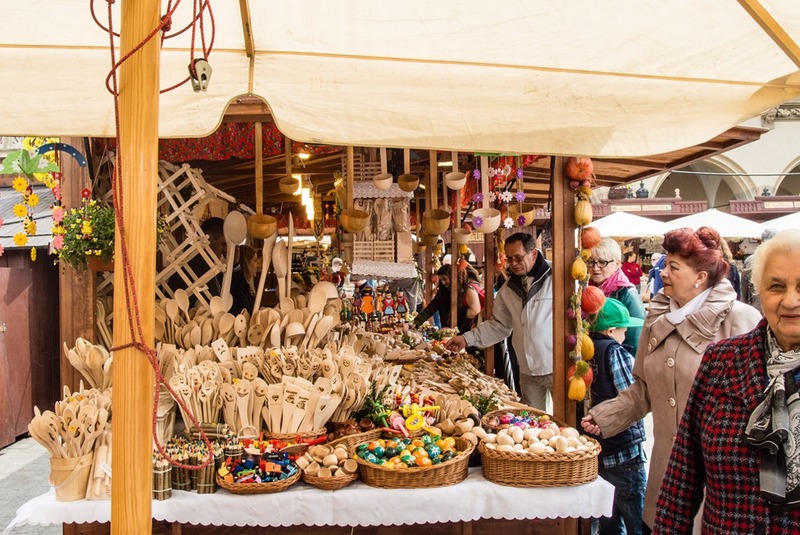 The Krakow Easter Market is where you must go when visiting, it’s the highlight of the Easter season. 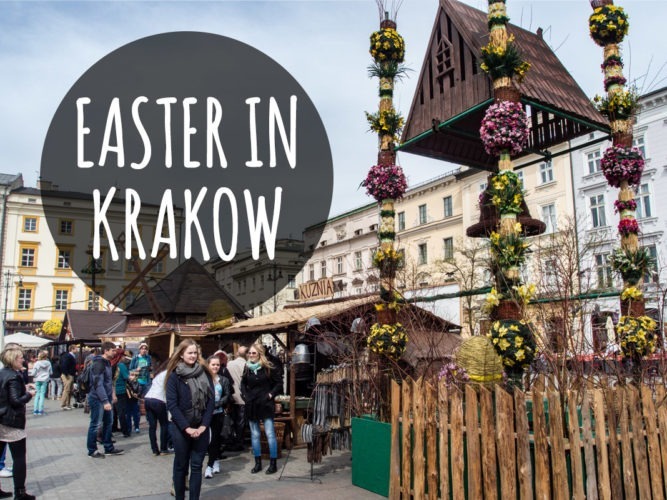 Krakow Easter Market: 2019, just like the previous years, will see the Easter market up already 2 weeks before Easter and it’ll stay up until Easter Monday. The food choices are endless – opt for Pierogy (dumplings), Kiełbasa (sausage) or grilled cheese, all incredibly yummy! Beer is sold in barrel-like stalls and features some nice Polish brands, like e.g. Tyskie. 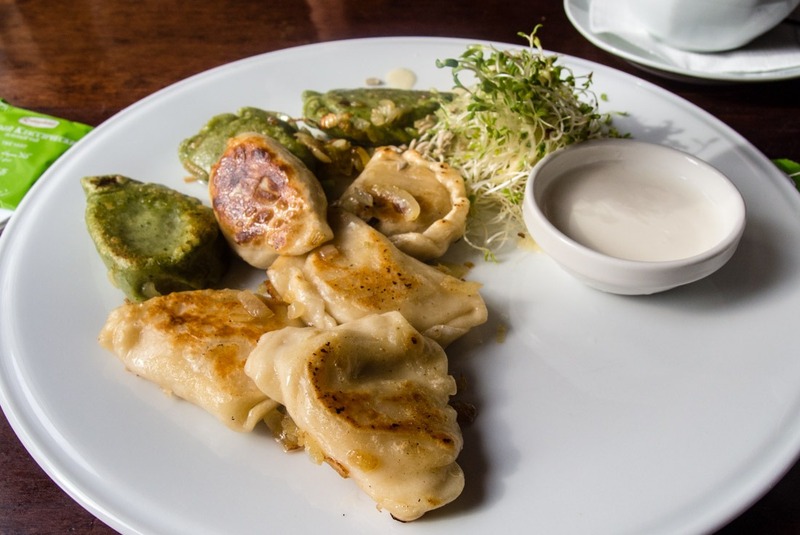 If you’re looking for an option to eat well on a budget, this is where to eat in Krakow. The popular Kraków Cloth Hall (Sukiennice), which dominates the main square and functions as the City’s Museum, is closed during the Easter Weekend (April 21 & 22 of 2019). On the 19th and 20th some parts of it will be opened, but just until 2pm. When we visited, you could walk through the Sukiennice passage. 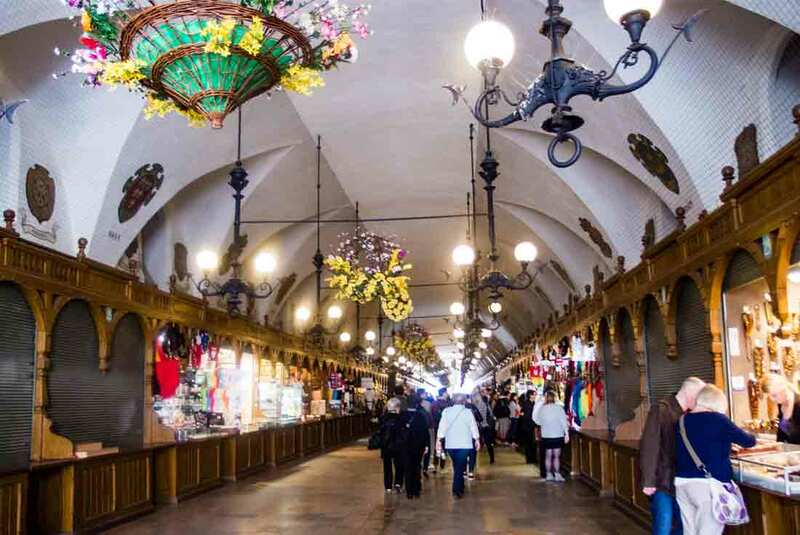 See the Cloth Hall Krakow opening hours here. Churches have masses at least twice per day and it’s quite something to watch a few minutes of that, even if you’re not a religious person yourself. We walked in on one by accident and couldn’t have been happier. 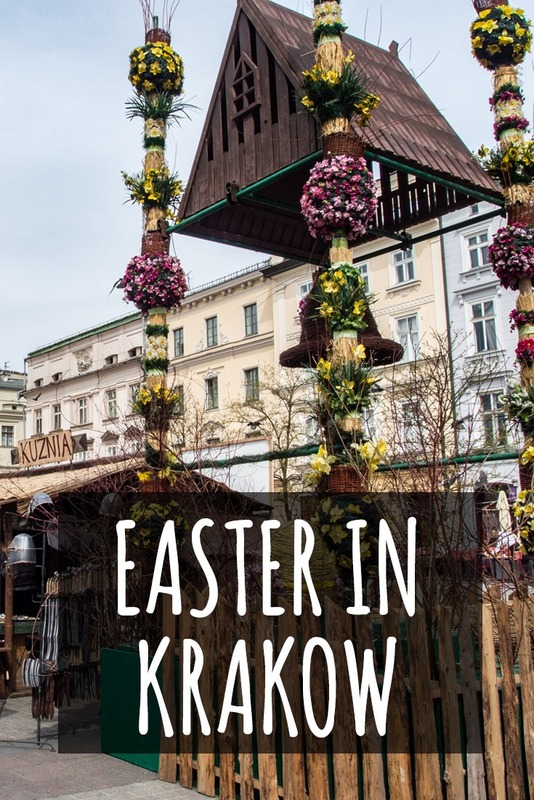 During Easter in Krakow, checking out the Easter market, peeking into churches and stuffing your face at an Easter market or in a restaurant become the best things to do in Krakow. Stalls inside Krakow Cloth Hall (Sukenice) on the main square. 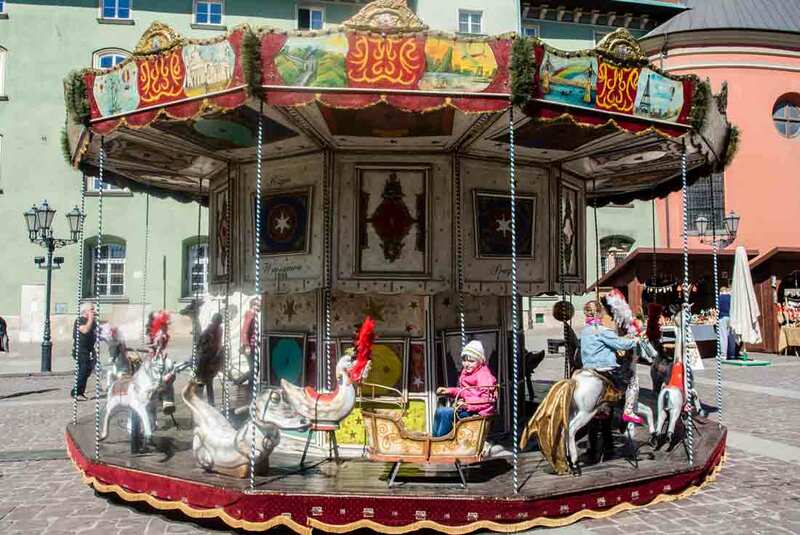 Can you imagine a European city without horses? Life feels simple when you just wander around and pick a place to eat or chill by what’s opened. They’ve got their famous Pierogy here in almost every restaurant, so no need to be afraid you’d starve to death. Don’t laugh at me but I was initially a bit concerned since we confidently marched to the most famous Pierogy restaurant in Krakow, only to find it closed for Easter. Many international chains or touristy cafés stay opened, you won’t miss your daily espresso then! Try Hard Rock Café with an awesome view of the Main Square. I quite liked Costa Coffee. It is a chain, which means you bump into their cafés almost on every corner, but at the same time it’s adjusted to Poland, so you won’t feel like you’re losing touch with the locals. This particular café is opened every day from 7 am till 10 pm. Another little café that stays opened on the festive days is Café Olé, and it’s right by the Wawel Castle. It’s a basic one, but nothing wrong with that. 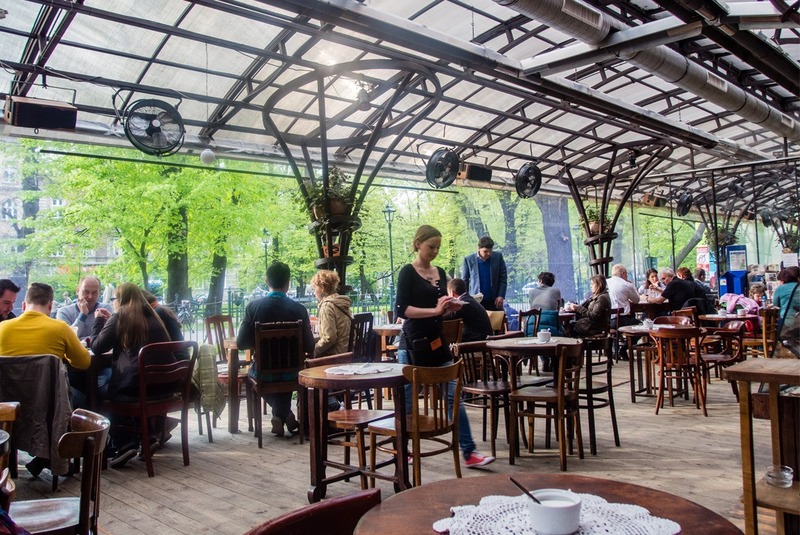 Lastly, for a great in-park outdoor coffee fun & an awesome breakfast, you can try out Bunkier Café Krakow, with its greenhouse-like structure and great view of the park. It’s in the park surrounding the Old Town (Plac Szczepański 3A). This was my favorite one, it has a lot of character! Strolling further from Krakow’s Old Town towards Kazimierz area also gets you some nice places to enjoy good little food and drinks. Be sure not to miss out Café Młynek on Plac Wolnica 7. Their Pierogy were definitely more sophisticated ones than those on the main market. It’s apparently a Bed&Breakfast too, that’s perhaps why it has such a homey feel. Finer diners will appreciate La Szara at the main square. Selection of mostly French meals of upper quality combined with expensive wine will please all the high-end foodies. La Szara inarguably belongs to the best restaurants in Krakow. Even during Easter time, there are electric carts roaming the city and doing the walking for you. There are usually 8-10 seats and they even have a rain cover. 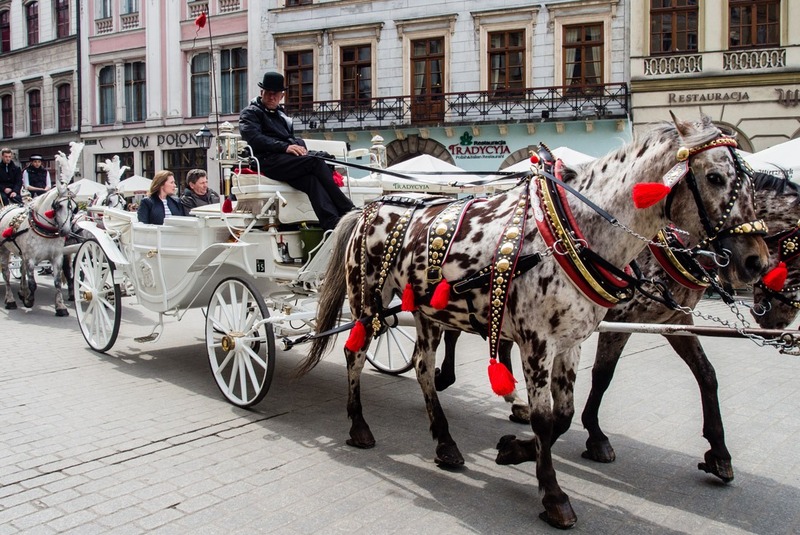 If that’s what you’d like to do, it’s quite a budget-friendly way to discover Krakow’s sights. You can find a tour like that for around €16 or $18. If you’d like to go for something very different and explore another district of Krakow called Nowa Hut, you can do so on a Communism Deluxe Tour by Trabant, during which they’ll take you to a Communist apartment, a traditional milkbar etc. all aboard a vintage yellow Trabant :) The prices start at €48 or $55 per person for 4 hours. The Wawel Castle, or as in Polish known as Zamek Królewski na Wawelu, has all its exhibitions closed on Easter Saturday and Sunday. You also cannot have a tour of the castle. On Easter Monday April 22 2019 some exhibitions will be opened. But even when the Castle is closed, it doesn’t have to stop you from exploring the majestic courtyard and the charming area around the castle. There’s a lot to see on the outside of the castle even without taking a peek inside. Check out the current Krakow Castle opening times here. Easter Monday (so called Wet Monday) has the locals splash each other with water. No worries, it’s not like Songkran Festival in Thailand and you won’t need a raincoat to protect yourself in the streets of Krakow. It’s not that wild at all. If you’ll see even one person with wet clothes (while it’s not raining), you can consider yourself lucky. Ladies on the Krakow Easter market in Rynek Glowny. Now you know a couple of my tips. In case you’d like to get an exact itinerary on what to see and do in 3 days in Krakow, check out this article. 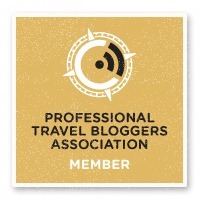 Also read this article featuring all the things to do when visiting Krakow. Krakow is definitely one of the best places to go any time throughout the year, but going during Easter will get you some additional fun. Easter in Poland rocks and I can highly recommend it not only for 2019! In my opinion, Krakow is one of the best Easter destinations in Europe. And I have travelled almost each Easter holiday in the last 10 years. Nearly everyone who does travel to Krakow for a few days pays a visit to the Wieliczka salt mine, as that’s one of the top places to visit outside Krakow, yet it can be done on a day trip. We missed that opportunity but you shouldn’t! Check the current Wieliczka salt mine opening hours – the salt mine is fully closed only on Easter Sunday (double-checked for 2019). You can visit Wieliczka independently and pay for the entrance & a guided tour. Here’s a full guide on how to get to Wieliczka and what the visit is like. If you’d rather go the more comfortable route, opt for a highly rated and well priced tour with a pick up and drop off in Krakow. 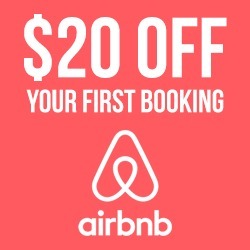 I stayed at an Airbnb apartment, which was lovely. You can see the review in my article here. I will not argue that Easter is the best time of year to visit Krakow. I bet summer is even more pleasant. But if you’re lucky with the weather, you can enjoy a lovely spring weekend in Krakow made more special by the Easter festivities. Enjoy your Easter weekend in Krakow! How about your trips during Easter, do you have a favorite spot? Would you give Krakow a chance for your Easter weekend? This post was originally written in 2014 and then majorly updated in January 2019.
i’ve never even heard of an easter market before. krakow, poland, has been on my travel radar for a couple years now. looks like a fantastic time. in the US, our children’s spring break was generally around Easter so we traveled several years; Chicago, Los Angeles many times, Savannah, Bahamas, etc. You’re right, I used a wrong formulation. I meant the international chain is localized enough, so you’ll find enough locals in there as well as often times some local add ons on the menu. Thanks for pointing it out, I’ll rephrase to avoid confusion. I’ve chosen Krakow to spend Eastern holidays… what a disappointment!! In addition to the terrible weather, almost everything is closed on Sunday (museum, shops…)!! Just a bad idea to have decidedto come here ! !